The Kappiṇābhyudaya is a mahākāvya composed by Śivasvāmin, who flourished under the reign of Avantivarman (r. 855/6—883 AD), the first king of the Utpala dynasty in Kashmir. Reading the historical situation of their compositions in literary works is risky because it cannot be proved and tends to be an over-interpretation. On the other hand, it is also true that all literary works are also products of their time and may reflect the atmosphere of the time when they were composed. 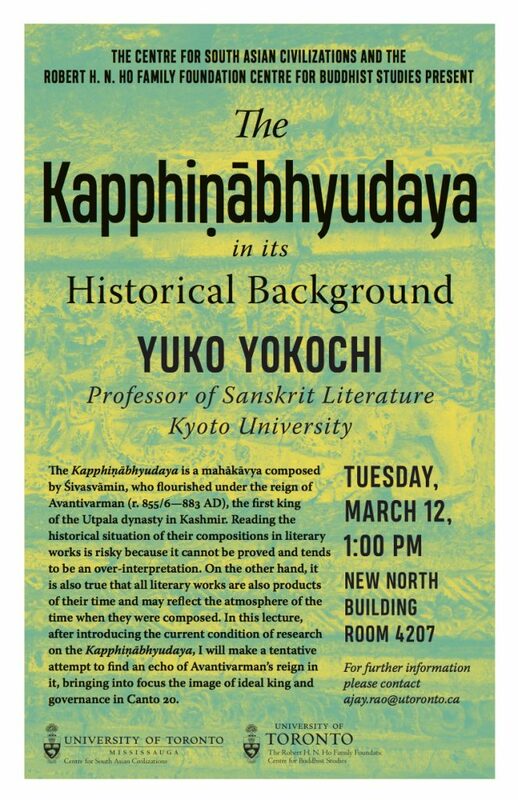 In this lecture, after introducing the current condition of research on the Kappiṇābhyudaya, I will make a tentative attempt to find an echo of Avantivarman’s reign in it, bringing into focus the image of ideal king and governance in Canto 20.